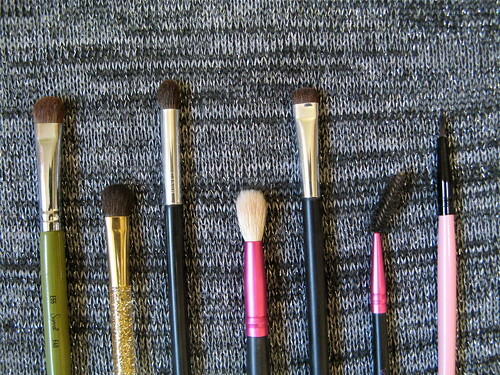 I am a big believer in fingers when it comes to applying concealer and liquid foundation, but for other products, I have a small coterie of brushes that I prefer to use on a regular basis. 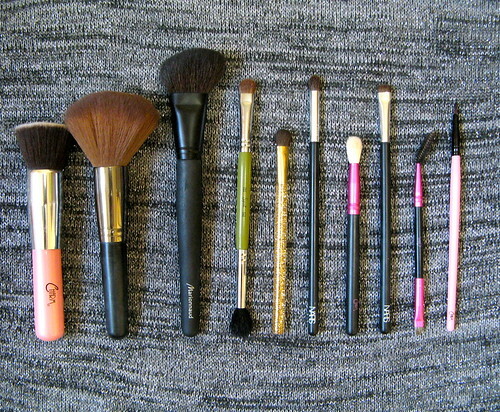 I have other similar brushes that I reach out for but this set is always my first choice! 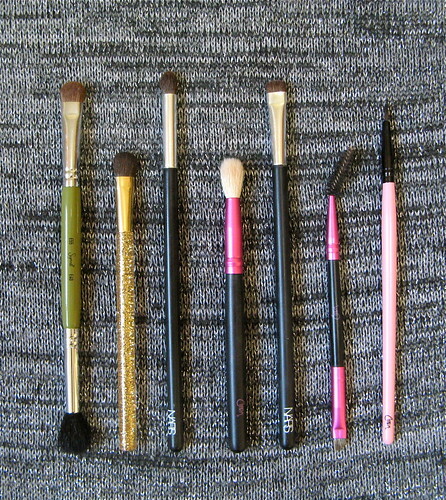 So, here are my favorite brushes! The Sigma E55 / E40 duo can do my whole eye makeup from lid, crease, to highlight. I love this because it's efficient to use - no need to switch around! The Estee Lauder brush is so dense that it packs lid color wonderfully. The couple of fake NARS brushes here may be, well, fake, but they perform with no hitch; I've had them for three years now I think. 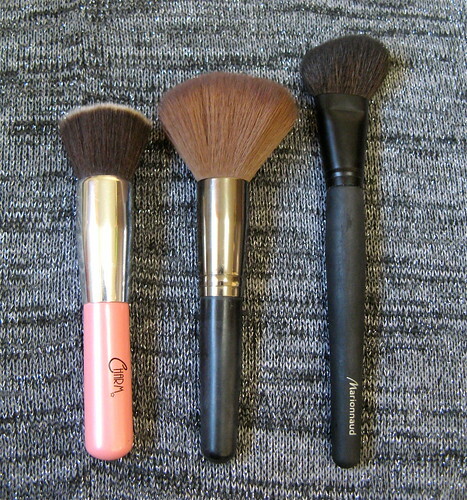 The Charm brow brush is awesome so read the review. The eyeliner brush, I demonstrated here. And that's it! 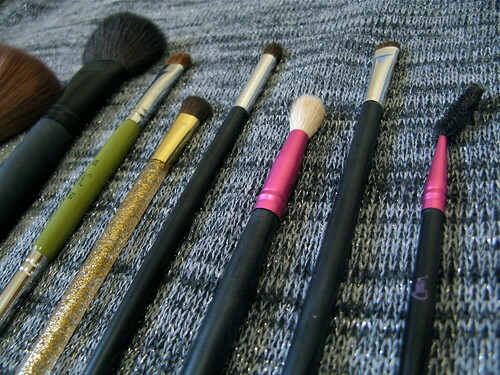 Pray tell, what are your favorite brushes EVER?